To many, Umbria in central Italy is a perfect holiday destination, brimming with natural beauty, incredible culture and superb cuisine. But can you visit Umbria with kids? Well, provided you balance out the culture with plenty of attractions to pique your offspring’s interest, the answer is yes. Landlocked Umbria, nestled between Tuscany, Le Marche and Lazio, has a chocolate factory, water parks, music festivals and a huge waterfall which can be switched off. There’s even a beach…. of sorts. Intrigued? 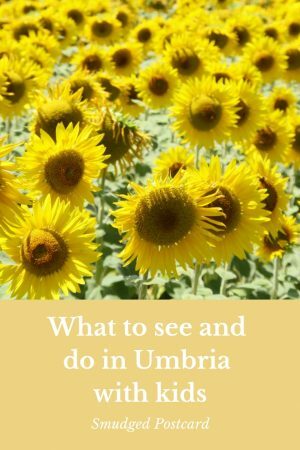 So, what is there to do in Umbria whether you’re travelling with kids or without? 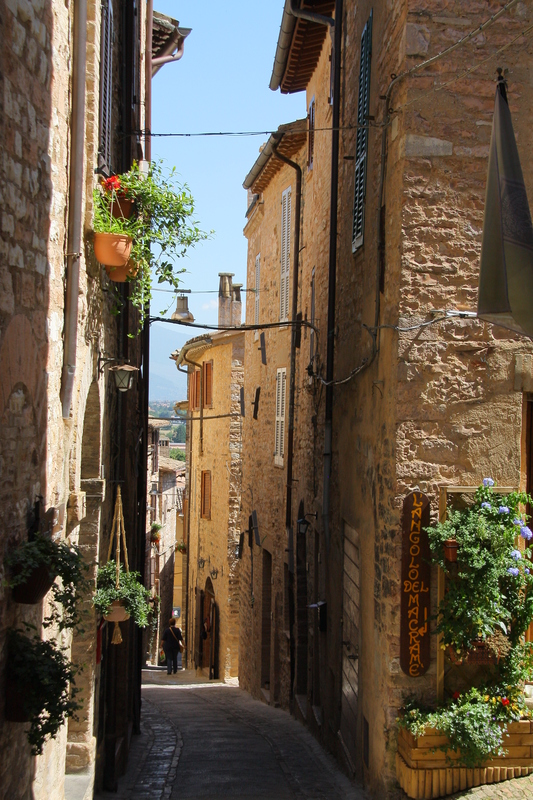 Assisi, Orvieto and Perugia are the big crowd pleasers with world-class artworks and architecture but there is a host of other hilltop towns which are equally delightful but with far fewer crowds. Montefalco, known as the “balcony of Umbria” for its position overlooking the Clitunno flood plain, is one of my favourites, perfect for indulging in a glass of the local Sagrantino wine, while pretty Spello is just the antidote to neighbouring Assisi: ideal for peaceful wandering amid its honey-coloured streets. Perugia, Umbria’s capital, is essential for understanding the immense history of the region. 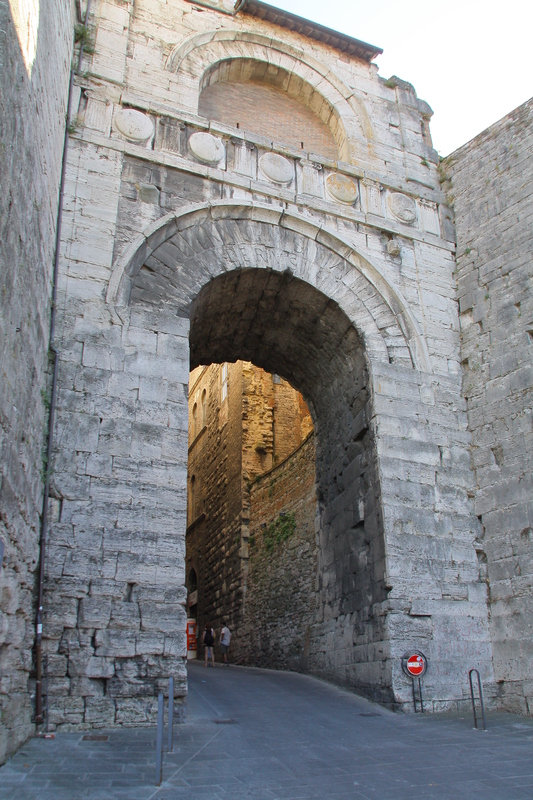 The city features Etruscan stone archways, elegant gothic palazzos and an appealing warren of medieval alleyways. You can soak up the atmosphere in Piazza IV Novembre on the steps of the city’s cathedral or in one of the square’s many cafes. Close by, the Galleria Nazionale dell’Umbria offers a good range of Italian art including works by Renaissance master Piero della Francesca and local artist Perugino. Umbria’s landscapes are stunning too; rolling hills, often covered by vines, olive groves, sunflowers or forest, are crowned by tiny villages. 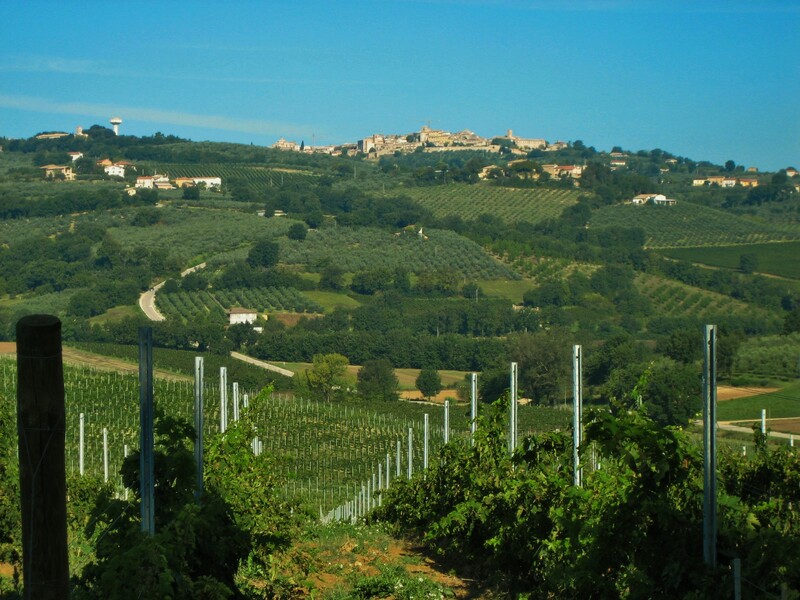 And the backdrop of it all is the mighty Sibillini Mountain range which the region shares with neighbouring Le Marche. If food is your thing, local specialities include truffles, lentils and porky products which can be washed down with a variety of excellent red and white wines. If you need to bribe your children with something other than ice cream to get them round Giotto’s famed frescoes in Assisi’s Basilica of St Francis, the town’s 14th century fortress complete with tunnels, passages and a tower to climb offering 360 degree views over the region, should do the trick. 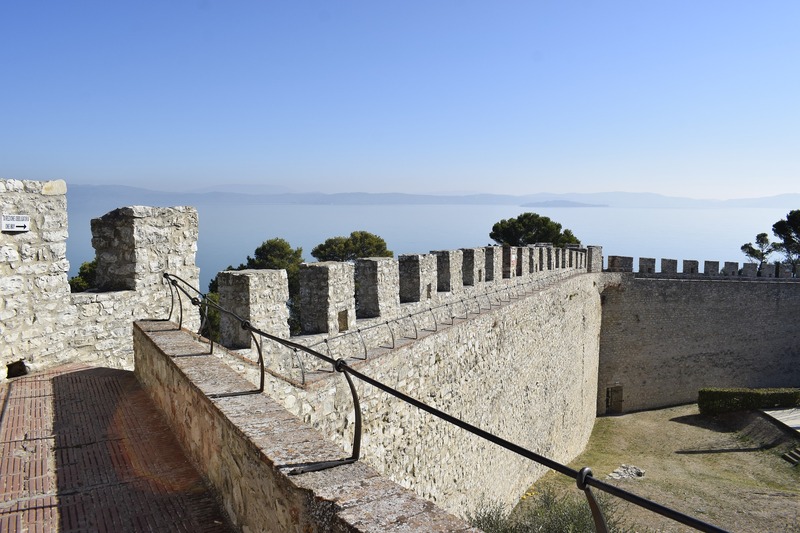 Just ensure you visit Rocca Maggiore on a haze-free day to maximise those views. 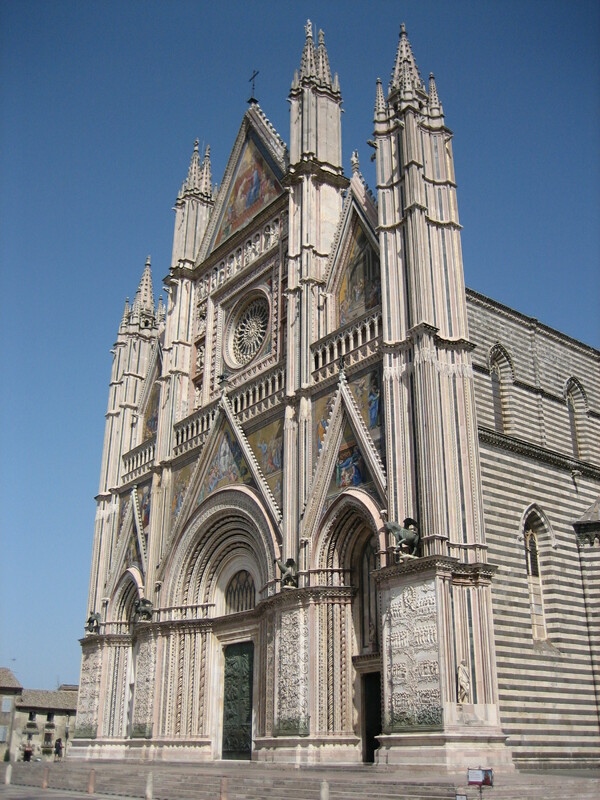 Even the most reluctant art historian would find it difficult to ignore the beauty of Orvieto’s glittering cathedral. The facade, studded with mosaics, is a sight to behold and, perched on top of a volcanic cliff, the cathedral is visible from quite some distance. Once you’ve imparted the key points of Gothic architecture to your children, head underground to explore Orvieto’s ancient past. Beneath the town is a network of over one thousand caves dating back to Etruscan times. Most of the caves are privately owned but several can be explored on a guided tour. 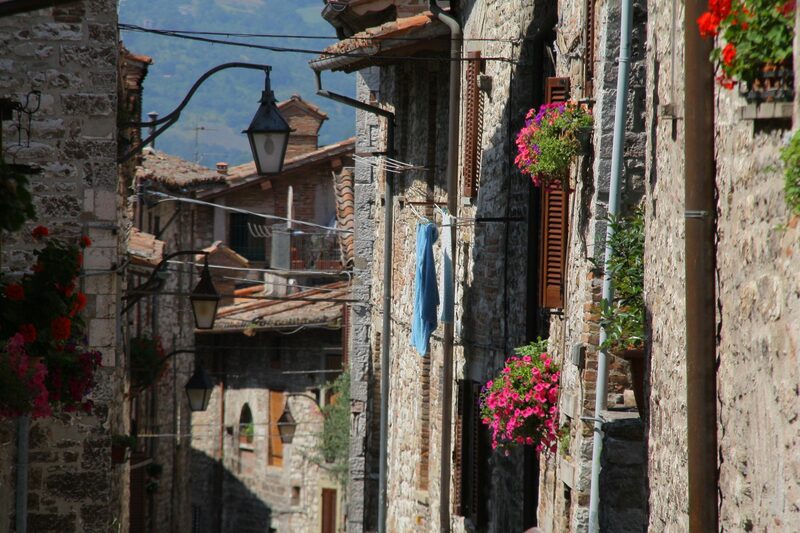 If you’re keen to avoid hordes of tourists, Gubbio is a lovely town to explore with children. 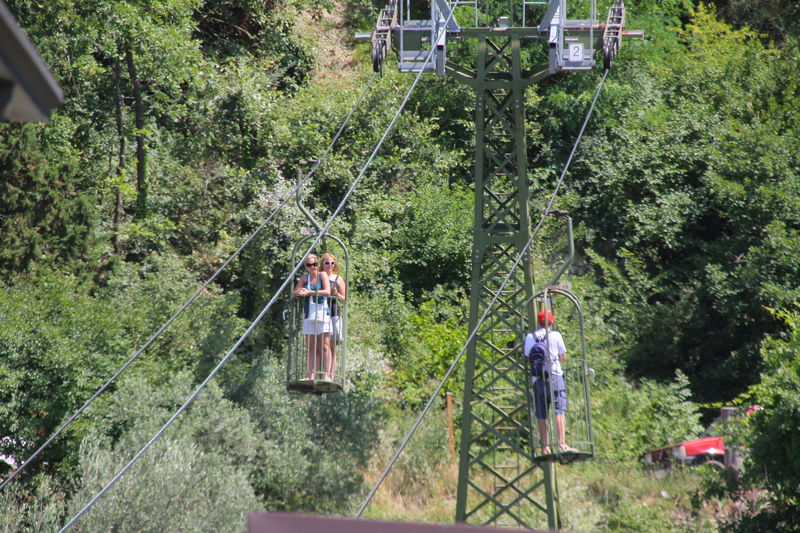 It’s not too big, perfect for idle wandering, and it features a rather ancient-looking cable car which rattles you to the top of Monte Ingino for a spectacular view of the town, (best avoided if you’re of a nervous disposition). When you’ve worked up an appetite, there are some excellent restaurants to sample some of the region’s truffles with pasta. If you’re visiting in May, Gubbio’s Festa dei Ceri, a race through the streets with giant candles, sounds exciting. 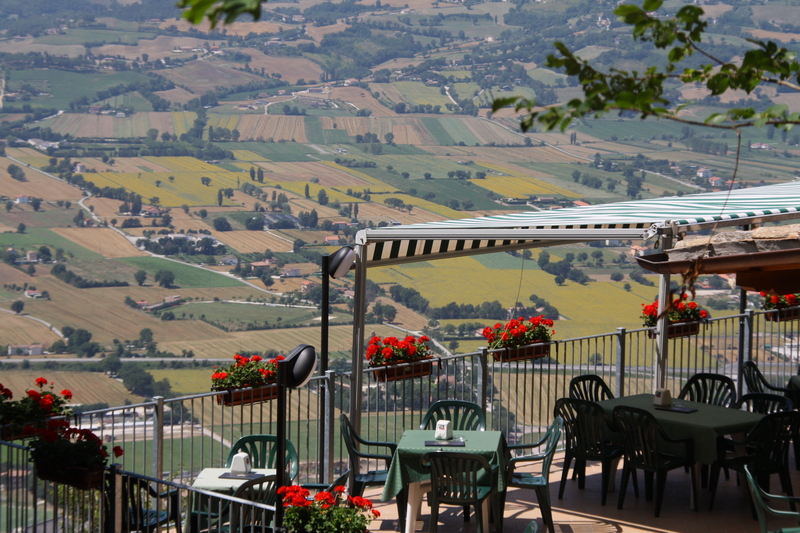 If you’re visiting outside the hot summer months, Umbria is a walker’s and cyclist’s paradise. 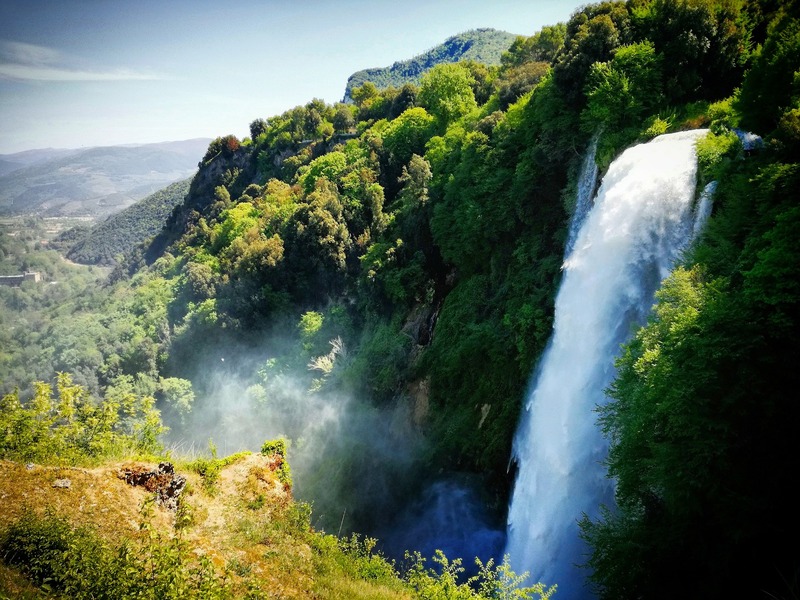 The Sibillini Mountains could keep you busy for several weeks but there are smaller parks in the Apennine Mountains such as Monte Cucco and Fluviale del Nera where you’ll find walks and trails for all abilities. I’ve not been to Citta della Domenica yet but I’ve heard that it’s a great place for younger children. It’s part zoo and part theme park, a kitsch day out with Snow White, Pinocchio (who hails from Italy) and a host of other attractions to delight little visitors. Originally a feat of Roman engineering, the Marmore Waterfalls now fuel a hydroelectric power plant. This artifice does not stop them from being a magnificent sight to behold. Just make sure you check the switching on times before visiting. The Nera River, responsible for the Falls, is also perfect for rafting. There’s a 3km stretch with plenty of rapids to test your mettle. Otherwise, it’s also a pleasant area for walking. Another renowned Umbrian city, Spoleto’s highlights include a medieval fortress, a Roman amphitheatre and a Romanesque cathedral. However, if your children are likely to suffer from culture overload, they’ll no doubt enjoy racing across Spoleto’s medieval Ponte delle Torri, some 80 metres high and 230 metres long, which crosses a deep gorge and connects the town to an appealing woodland area popular with locals for a shady stroll. If you’re in Umbria with preschoolers or older teens, Spoleto’s summer festival at the start of July is well worth a visit. Your kids may not have access to the seaside in Umbria, but fear not, you can still have your sandcastle fix at an inland beach. Lake Trasimeno is no Garda but it has charms which will appeal to children. There are sun loungers for hire at Castiglione del Lago’s sandy beach along with pedaloes and canoes plus a bar and playground. 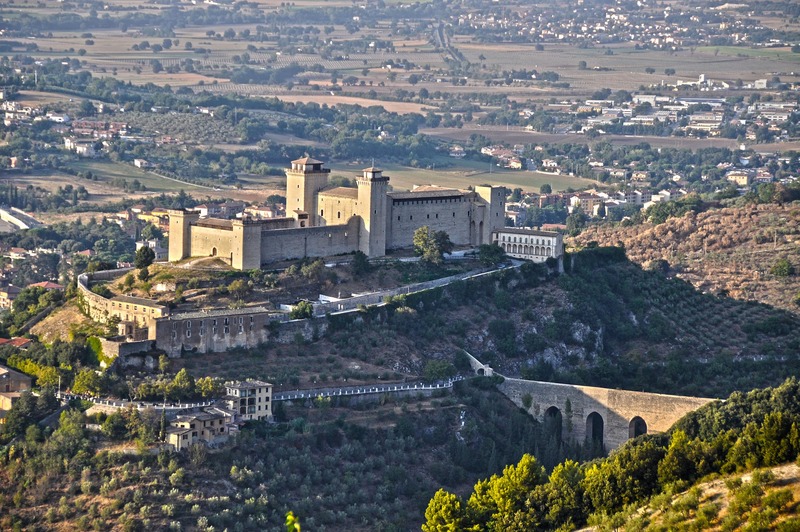 Rocca del Leone, a medieval fortress, overlooks the lake and is perfect for would-be knights to clamber on. Visitors can take ferries to the lake’s islands where there are more castles to explore as well as peaceful walks. It’s always entertaining (although perhaps not good for conservation) when an ancient ruin is available for children to clamber on. Such is the site of Carsulae in southern Umbria. Highlights include a roman road, amphitheatre and a mosaic floor in the museum. 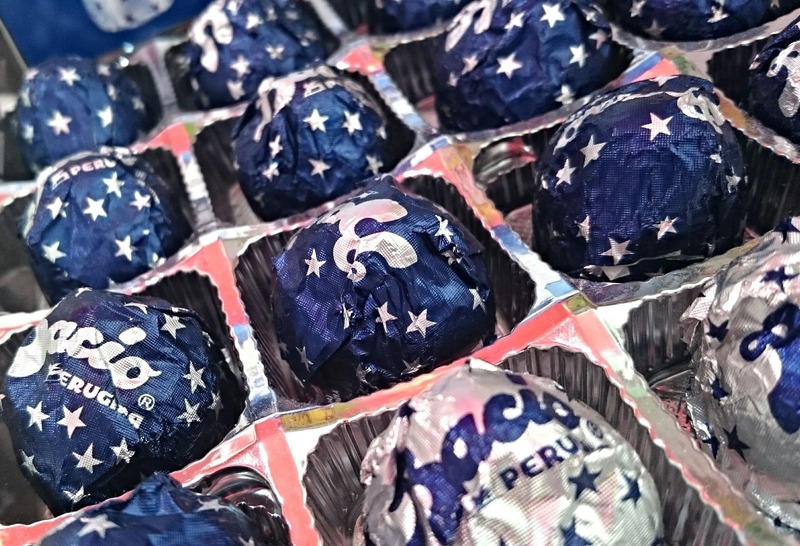 If there are chocoholics among you, head to the Perugina chocolate factory, home to the Baci chocolates. There are tours of the factory in English but the classes are generally held in Italian. 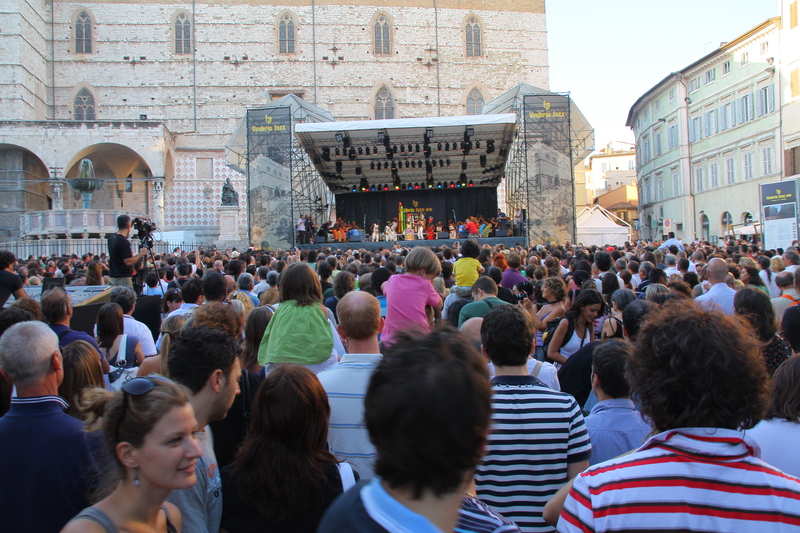 Umbria has a great range of cultural festivals, particularly during the summer months. As with other parts of rural Italy, food festivals, known as sagre, are held in many of the towns and villages throughout the year. They’re usually well publicised and feature a particular regional speciality such as truffles or lentils. Likely to appeal to older children with an interest in palaeontology, this collection of petrified trees is over 2 million years old. Opening times are limited. Another one for older children, this outdoor pursuits park features zip wires, spiderweb rope climbing and other acrobatic experiences. 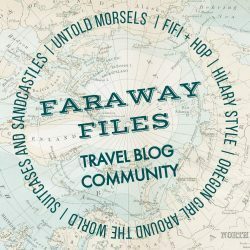 This is a great option if you’re not yet tied to school holidays (it generally falls just before the start of the UK summer holidays) or it works well if you’re travelling with teens. 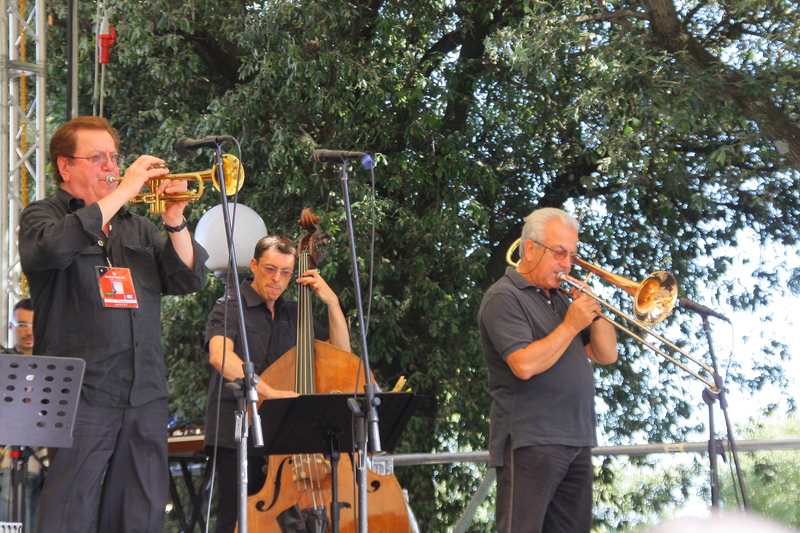 Jazz fills the streets of Perugia throughout the day with everything from simple street corner musicians to daytime stage concerts. Aside from the big headline acts in a stadium, much of the music is free. 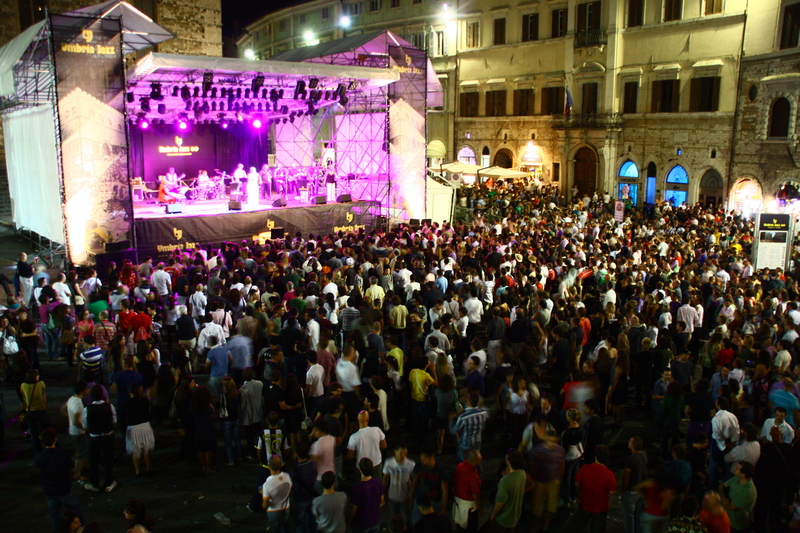 The centre of Perugia is pedestrianised so you can wander the streets with your children and enjoy the music. Come nightfall, the city is packed with visitors and there’s a real party atmosphere. If you’re visiting land-locked Umbria with kids, it’s essential to find somewhere to have a splash around in lieu of a beach. Heat is guaranteed in Italy in the summer months so there are plenty of outdoor swimming pools. If your children require all the bells and whistles, Aquapark di Tavernelle (just south of Lake Trasimeno) looks like the best bet with plenty of slides and an area for toddlers. How to get to Umbria: Umbria borders Tuscany, Lazio and Le Marche so the obvious airports are Rome (2 hours) and Pisa (3 hours). 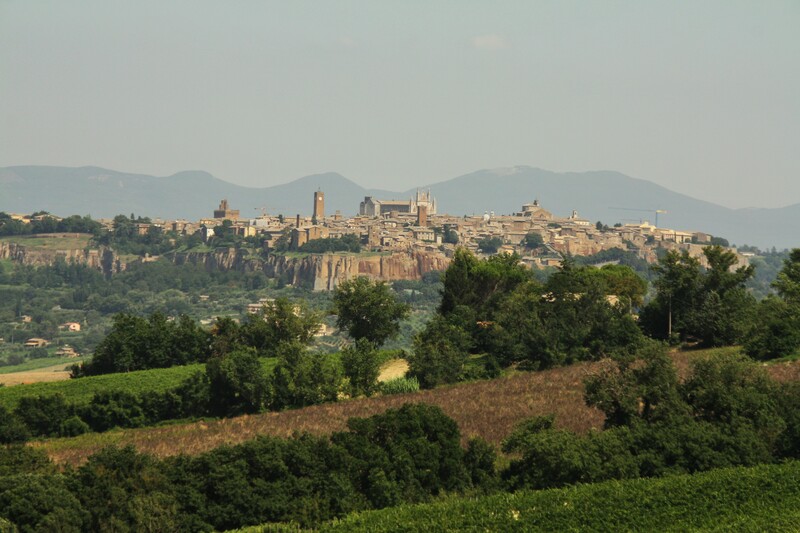 If you’re travelling from Stansted you can fly straight into Umbria’s capital Perugia which has a tiny airport, perfect if you fancy an easy drive to your destination. Where to stay in Umbria with kids: As with Tuscany, you’ll find plenty of hotels and villas in Umbria. However, If you’re travelling with kids, I’d recommend staying in an agriturismo. Many of these farm holidays offer self catering apartments, a restaurant, lots of outdoor space and quite often there’s a swimming pool and a play area too. Some of my best Italian meals have been at agriturismos. Make sure you’re hungry! 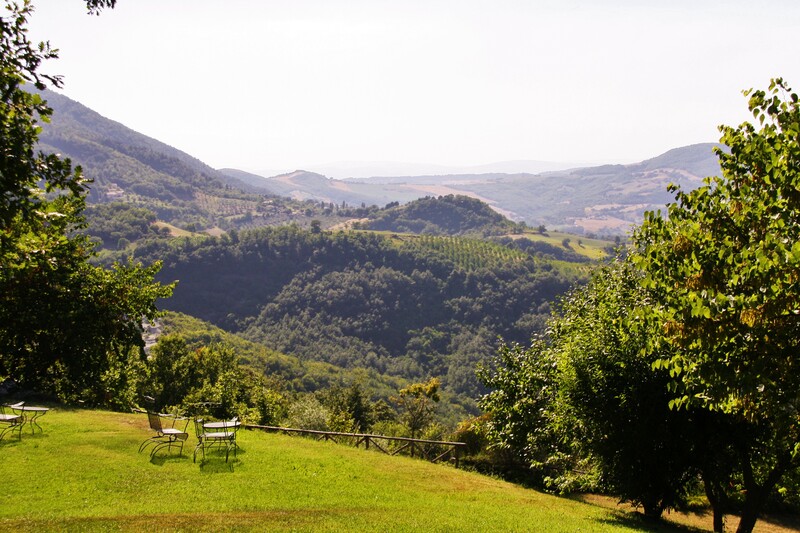 Two-centre holiday ideas in Umbria with kids: Umbria works well combined with a beach holiday in neighbouring Tuscany or Le Marche. Alternatively, you could start with a city break in Rome, Bologna or Florence followed by a week relaxing in Umbria. Previous Post Is York the best UK city break destination for families? It’s a great town, we loved it. The smaller towns are lovely, I’ve visited Umbria about 10 times but would happily return tomorrow! And that’s only the child friendly stuff! 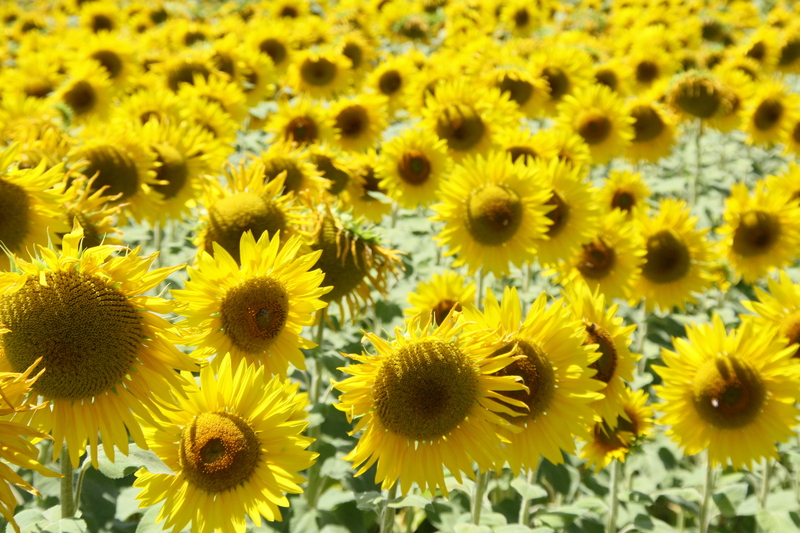 Oh my – just the pictures alone are making me long to hop on a plane to Umbria right now! And cathedrals, caves, waterfalls – children would learn so much from a trip there. As well as have a blast, or course! I’d love to be sipping a coffee in the Italian sunshine right now! I’d love to live by the sea, it will never stop being a novelty to me! Yes, I wouldn’t mind being there right now too! Oh gosh, this has taken me back – nearly 23 years! My husband and I had a wonderful holiday in Tuscany and Umbria before our son was born. I still remember beautiful Assisi and this was just two years before the earthquake of 1997. I was also there about that long ago, happy memories too! 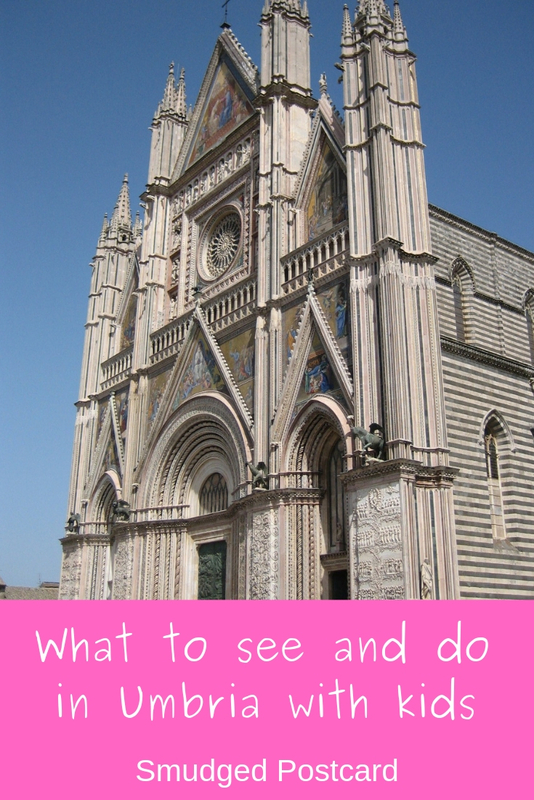 Yes, Orvieto is an amazing place. I’m looking forward to returning to the region with my kids. Umbria is magical, Tuscany’s pretty good too. I’ll have to head over to your blog and hear what you got up to!